There are tons of things that you can sell today. What you plan on selling depends heavily on many factors. These include the seller, competitors in the market, location, demographics, timing etc. Finding a product to sell or Product Sourcing is a process that differs for every company and for every industry. Knowing that, let’s have a look at some of the best tips that can help you and your business in developing a product sourcing strategy. Everything is going great when the products are literally “flying” off the shelves. You have nothing to worry about, right? Wrong. The best time to think about sourcing your next product is actually when things are going great. You have to have the products in stock at any given moment. Your buyers should feel like you have an endless supply of products. And you need to have if you want to capture the entire market that you attacked in the first place. It’s a fatal mistake for a business to wait until the sales percentage is low to start product sourcing again. Don’t forget about your competitors too. The competitors will always stay awake to keep an eye on you. If your sales percentage is getting lower that means that the competition is catching up with you. By the time you realize, you will be out of business in a blink of an eye. Successful businesses don’t stand still with the current. They work and they continuously source products, looking for new channels to sell their products and sourcing channels. We already talked about the importance of market research for the success of a business on our blog. But, we just can’t emphasize it enough. Market research is the core of every business success and of every successful product sales in the marketplace. You have to analyze if there is a demand for a product first. Source the product, see if it sells and then source again. You have to know if your target clients already have and use the product that you want to source. There are lots of product out there that are bought and used on a continual basis such as computer parts, hardware, car parts or house sanitary products. Knowing your budget options is also important when it comes to product sourcing. And on the flipside, an expensive product might not sell as fast as an affordable one. That’s why you need to conduct a market research to see if the product fits with your target market first. There are numerous product sourcing models. Lots of companies product sourced successfully from China and white labeled the products. Other companies are creating their own products from the parts that they source, and differentiate on the market in the process. You can also repackage the products in your own manner or find unknown unique brands and bring them into the spotlight. Whatever product you’re trying to source, make sure that you adopt a proven product sourcing model. Have a look at some of the successful product sourcing processes. See what they did well, and emulate it. Check from where they’re sourcing their products. Do they source a brand or they source a bundle of products? Successful product sellers must do something right that you can copy too! When you source a stock of products, what you do with the stock depends exclusively on you and your team. If you want to source brands, you will most certainly face a competitive market. The big dogs control the market. Margins are slimmer than your expectations here. But still, there are less known and quality brands that you can source from. These brands want you to be their retailer. By doing product sourcing from lesser known brands, you can improve your sales rate and their image in the process. Good deals are out there to be captured, with the right product sourcing model. Drop shipping is very common in online and offline retail business today. For instance, it’s especially common in the furniture business where retailers are taking orders and send the details of the buyers to the company that is manufacturing the furniture. In the online sphere, there are lots of opportunities with drop shipping. You might never even touch the product that you order. There are lots of legit wholesalers and product suppliers that have great products in stock and have the business expertise that you look for. It may seem like a piece of cake at the beginning, but still, you have to get your calculations and your budget right before you start with drop shipping. In essence, it’s all in the numbers. It doesn’t matter if your product costs $5 or $50,000. The time and resources that you’re going to spend will be the same. So you might as well differentiate from others and sell more expensive products. 10% from $30 and 10% from $30,000 are not the same thing. You need to get closer to the manufacturers. When a product passes more countries, your margin will be smaller. The competition for the price is fierce too at this point. You need to think about whether or not you can handle a big bundle of products from the manufacturers or a small bundle from distributors. Handling larger quantities results in reduced expenses. This comes as a result of thinly spread warehousing and staffing expenses. It’s actually cheaper for manufacturers and product suppliers to sell larger quantities of products than to sell small quantities. Frustrated with your product sourcing process? We got you covered! Check out our 6-step approach to successful product sourcing. To conclude, the product sourcing process has been deeply revolutionized with the rise of the online retail sphere. But still, like 20 years ago, today personal relationship with the suppliers are equally important. 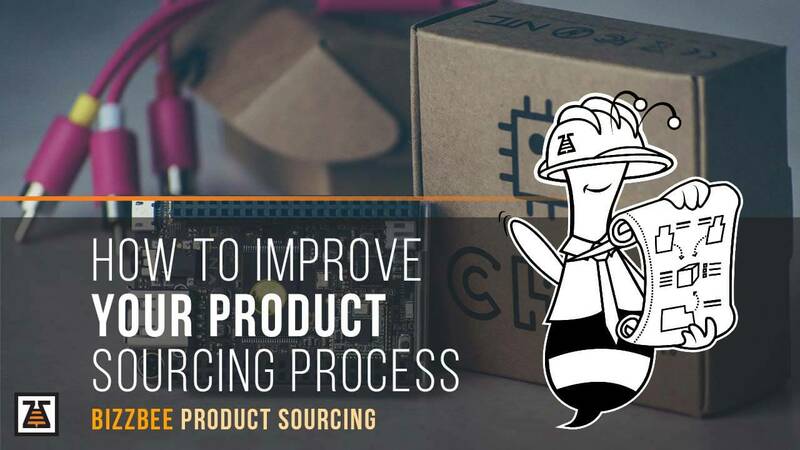 In product sourcing, it takes time, business intelligence, researching and hard work to find a quality product to sell in the marketplace and improve your product sourcing process as a result. It’s up to you to figure out how you can use the modern methods of product sourcing to grow your business and promote better products within your market. With BizzBee Product Sourcing, you give us information about the product you want to source. And we will provide you with information of the right manufacturer. In the process, we will establish communication with many manufacturers, compare them based on several criteria and facilitate the selection process. You will significantly reduce the complexity and communication overhead from the process as a result. By discussing these tips, I think you nailed down the queries of clients who seek to source products for their niche.